I recently listed a simple play tunnel as a great open-ended toy for babies and toddlers. Learn more about why open-ended toys are great for development. Today, I thought I'd share some of the different ways we play with our play tunnel. 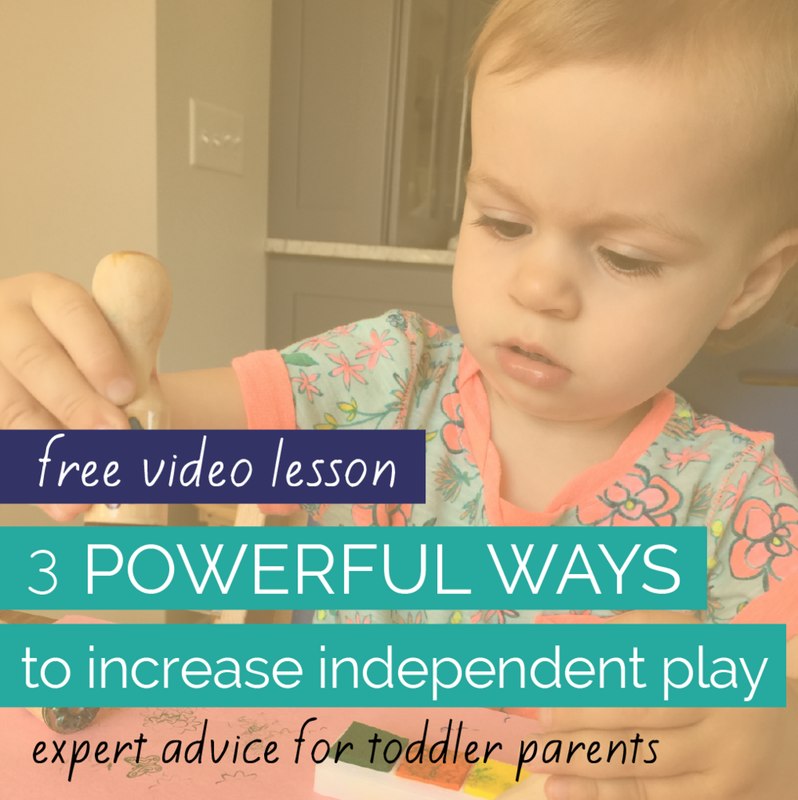 Many of these play activities are great ways for siblings, friends or mixed age groups to play together. I love our K-Roo Sports 6-foot Play Tunnel because it's affordable, large enough in diameter for me to get my upper body in, and like most tunnels, collapses down flat with closures making it perfect for travel to relatives' homes who don't have many toys for baby. If your kiddo skipped crawling as a baby, tunnel play is a great way to gain some of the same benefits in toddlerhood and in the preschool years. Learn more about why some babies skip crawling as well as other great activities for babies who skipped crawling. And Mama OT has a great in-depth post about the benefits of crawling. Looking for more ways to play? 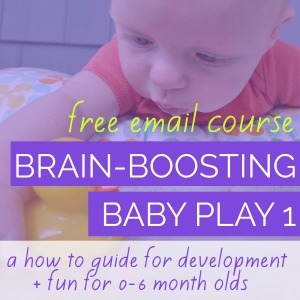 Learn to engage your baby in learning and strengthening play with 40 simple, yet creative activities. 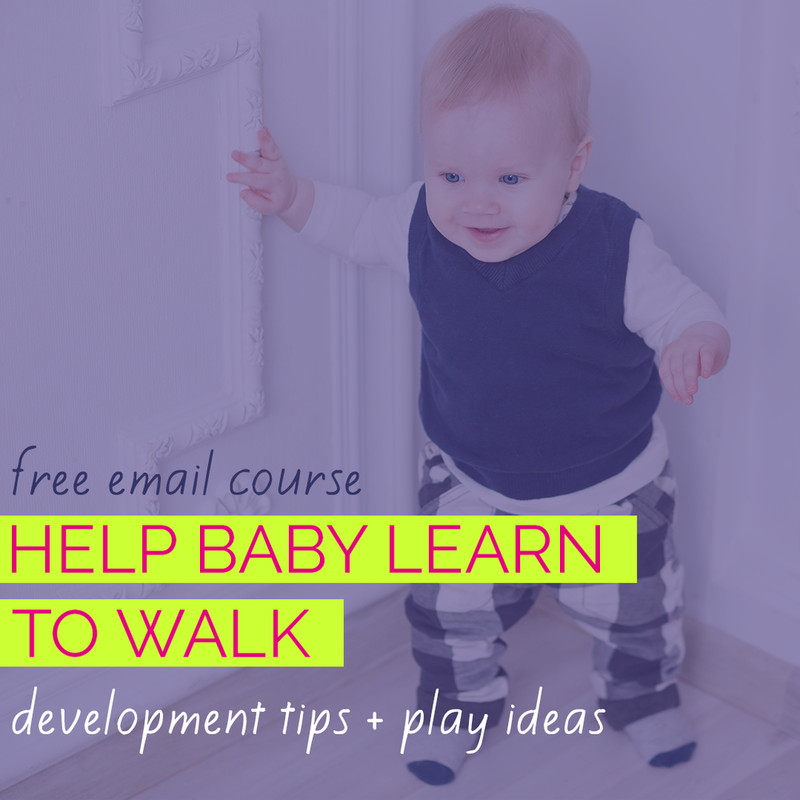 Learn more about your baby's development in the first year of life as you discover why each activity promotes milestones like sitting, crawling, standing, cruising and walking. Fellow parents have described it as full of "great ideas", "a must-have for new parents," and "the perfect baby shower gift." Available in print and eBook.